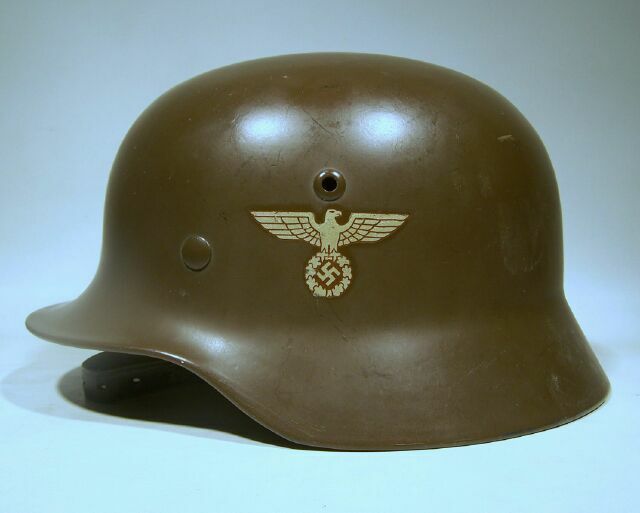 You will find "ORIGIANAL" WW1 and WW2 German helmets for the military enthusiast or collector. Original helmets of both world wars, from Germany and other countries. Helmet Gallery. A tour of part of my collection and are not for sale. Helmets For Sale. A list of current helmets offered for sale or trade. "German Helmet Collectors" is the best of my 30+ years of collecting and dealing in steel helmets of all countries from the period 1915-1945. There is something here for everybody who is interested in the subject of the German steel helmet. Whether you are a beginning collector or just hold an interest in militaria in general, a look through these pages may provide you with an interesting view or even an addition to your collection. I can be contacted at the e-mail address that appears at the bottom of each page on this site. Do not hesitate to write to me with any questions, comments or observations.